Which Device is Best Suited for Using LTE? The Customize Windows > Computer and Internet > Internet > Which Device is Best Suited for Using LTE? Which Device is Best Suited for Using LTE ? Only when LTE networks and LTE devices fit well together, the user gets the perfect speed experience. We talked about the technical part of LTE or Long Term Evolution before, you can read that article LTE. Along with the global development and expansion of the fourth generation mobile networks, more and more LTE-enabled devices and foremost on the market, of course, smartphones. The differences often stuck doing in detail. 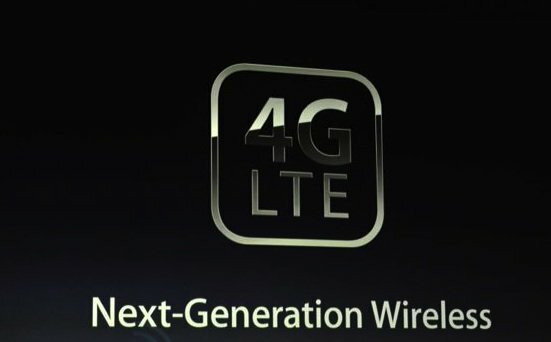 LTE is not 4G – LTE is 3.9G, it is LTE Advanced which is taken as a part of 4G. NGMN is based on previous UMTS infrastructure and therefore a rapid and cost-effective expansion of the existing 3G mobile networks is possible. One of the advantages over the existing networks with High Speed ? ?Packet Access (HSPA) is achieving a up to 100 megabits per second, it is much higher speed. The end device used can be permanently connected to the Internet (œalways on). Apple iPhone 5, when introduced in 21st September 2012, at first only had throughput peak of just below 48 Mbit / s with most networks. That’s half of theoretical 100 Mbit / s speed. On 6 October 2012, we then first download at rates up to 74 Mbit / s. Most high end-users are interested in iPhone. Depending on the network, iPhone 5 can give excellent speed. Needless to say, to get the state of art device, one have to pay the extra premium. iPad obviously have 4G/ LTE support. The Samsung Galaxy S4 had a similar situation as before, tlike he Apple iPhone 5, but since May 2013, mosr of the LTE 1800 network can give the S4 up to 79.87 Mbit / s – just a bit more than the iPhone 5. But why do people need 70 Mbit / s on a smartphone? With LTE, for example, three-dimensional maps load fast as an arrow at the mere tap. With UMTS, however, you can almost sleep almost before the 3D map is fully loaded with all the streets and buildings in 3D view. LTE is still too expensive. Most laptop manufacturers have already announced of LTE laptop launches, but it can take quite good time for the actual delivery of its first LTE notebooks. Often only a few models are fitted on request for larger customer projects with LTE. In the large electronics stores, but you can hardly find them. Sony, however, forged ahead in the summer of 2012 with LTE laptop : The stylish 13.3-inch Sony VAIO S13A is full of innovations: it was the first laptop with a 100-Mbps LTE wireless module. This Article Has Been Shared 434 Times! Articles Related to Which Device is Best Suited for Using LTE? Title: Which Device is Best Suited for Using LTE? Cite this article as: Abhishek Ghosh, "Which Device is Best Suited for Using LTE?," in The Customize Windows, August 28, 2013, April 26, 2019, https://thecustomizewindows.com/2013/08/which-device-is-best-suited-for-using-lte/.